I’m a small town girl at heart, but I love visiting cities during Christmastime and Denver is a great Christmas city. A stroll through downtown Denver during November and December is the perfect way to get into the holiday spirit. In addition to the lights and horse and carriage rides, Denver has two wonderful Christmas traditions; the Denver Christkindl Market and the Southwest Rink at Skyline Park. It’s easy to do these two things on the same outing. 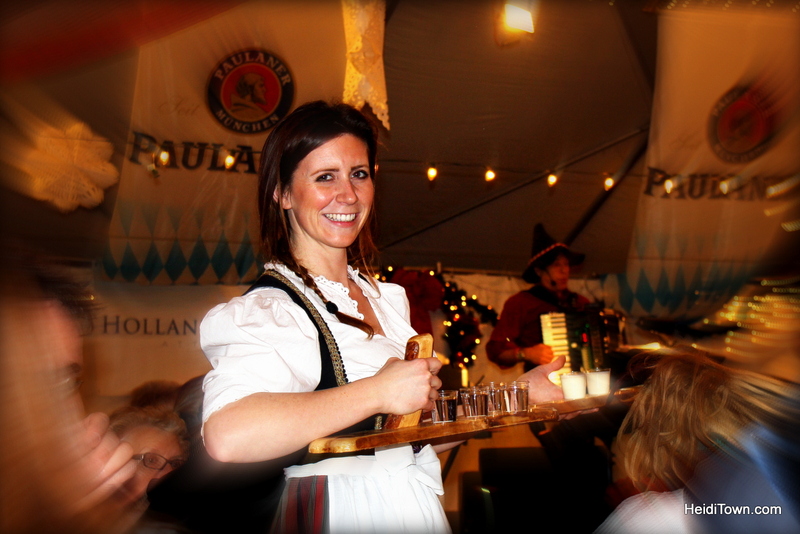 Heidi (not the Mayor of HeidiTown) serving up schnapps at Denver Christkindl Market. The Denver Christkindl Market is a longtime tradition in our family. We do a good portion of our Christmas shopping there and enjoy a German dinner under the Entertainment Tent. The ice rink, located across the street, is a wonderful excursion for the little ones, or even a date night, although watch out for kiddos, they’re abundant. 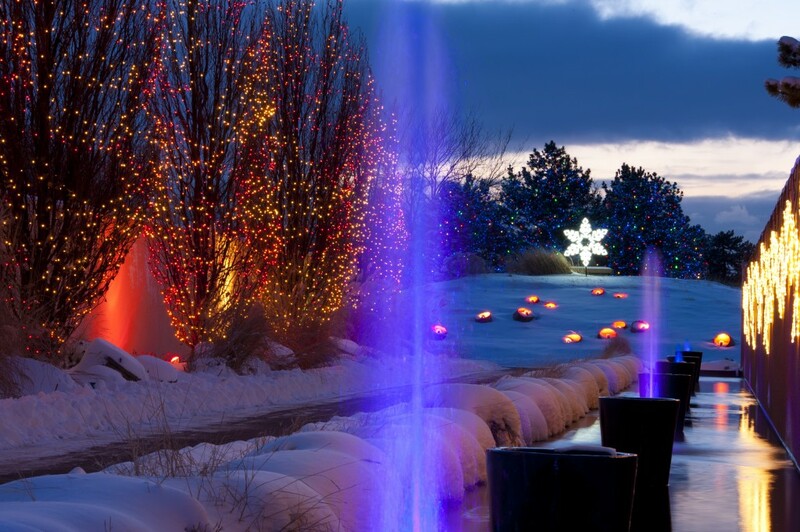 If you are looking for the perfect date night in Denver this holiday season, look no farther than the Holiday Lights Extravaganza at the Denver Botanic Gardens. Ryan and I have visited during the holidays and there’s nothing more romantic than strolling hand-in-hand through the twinkling lights at the gardens. It’s really quite magical. Holiday Extravaganza at the Denver Botanic Gardens. Photo courtesy of the Denver Botanic Gardens. I haven’t been to the Zoo Lights at the Denver Zoo in many years, but I know many families have made this part of their holiday tradition. I’ve heard that the Zoo Lights have become pretty darn fantastic and even include moving light structures. 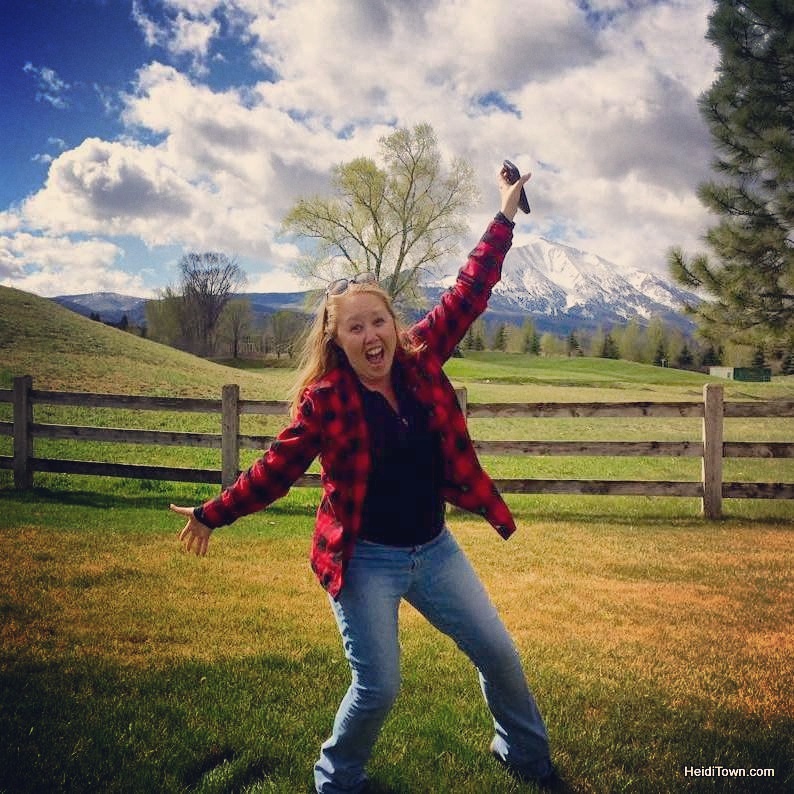 If you like visiting the Denver Zoo, I bet you’ll love Zoo Lights. Photo of Christmas Tea courtesy of the Brown Palace. 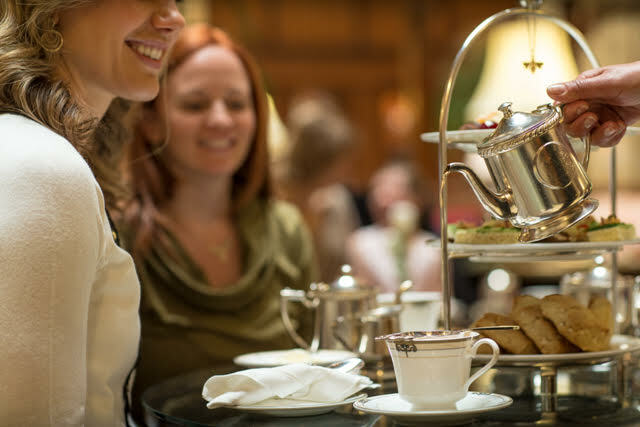 Christmas Tea at the Brown Palace is a holiday tradition for many Colorado families, and if you really want to impress your mom this year, book her a seat, but do it quick – folks book this outing a year in advance most days and times are already sold out. For everything happening in Denver this holiday season visit Denver.org/milehighholidays.